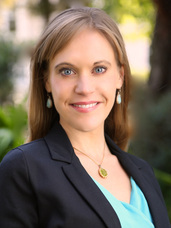 I’m a licensed psychologist practicing in San Francisco (Hayes Valley) and San Anselmo. I provide psychotherapy for individuals, counseling for couples, and coaching for mind-body wellness, relationship skills, and consultation for healthcare professionals. My approach integrates a range methods to best suit your needs as an individual. Within a collaborative relationship we work to deepen your self-awareness, inner strength, and cultivate life changes. It is my priority is to provide a confidential and supportive environment to understand and illuminate your internal world. I place an emphasis on authenticity and providing the guidance needed to uncover your own unique aspirations and values. I support the process of growing potential, life satisfaction, healthy relationships, and personal development regardless of the challenges we encounter. My education includes a Doctorate in Clinical Psychology; Master’s Degree in Psychology; and Bachelor’s Degree in Fine Art, Philosophy of Religion, and Psychology. My education and training integrate modern clinical psychology with East-West psychology and a holistic approach to health. Having an artist background has served my practice as a psychologist. I specialize in addressing creative blocks, self- expression, and integrating art therapy and Jungian active imagination techniques. As a psychologist, my work is informed by Jungian and Psychoanalytic therapy, cognitive therapies, trauma healing, recovery from addiction and mindfulness. My range of of therapeutic skills enable me to address the varying needs of my clients. I support ongoing awareness of the interaction between our emotional, physical, and mental states. I have training and certification in Hakomi, EMDR, and MBSR. These approaches which supports the healing of trauma and the release of emotion stored in the body. I also provide training in mindfulness and embodiment practices to address anxiety, panic, stress, and restoring your mind-body connection. My professional experience with somatic therapies and personal practice of yoga, meditation, and qi gong, has given rise to my specialization in mind-body psychology. My expertise in relationships and intimacy has emerged through more than 10 years of experience addressing concerns for individuals and couples on these topics. I work with clients across the spectrum of relationship styles as well as sexual and gender identity, my orientation is compassionate and non-judgmental. My training in relationships and couples therapy from the Gottman Institute and in Emotionally Focused Therapy (EFT) contribute to my approach. My post-doctoral training included an emphasis in recovery, addiction, and healing trauma. I am trained in both medical and behavioral health facilities. I provide treatment for various types of addiction, including substance abuse, eating disorders, codependency and other compulsive behaviors. I have extensive experience with trauma recovery and working with veterans. I treat those with past or recent trauma related to: assault, tragic loss, military/combat and difficult life events.